You must know by now from my #ReadWithMe weekly link, that I am somewhat of a book worm. 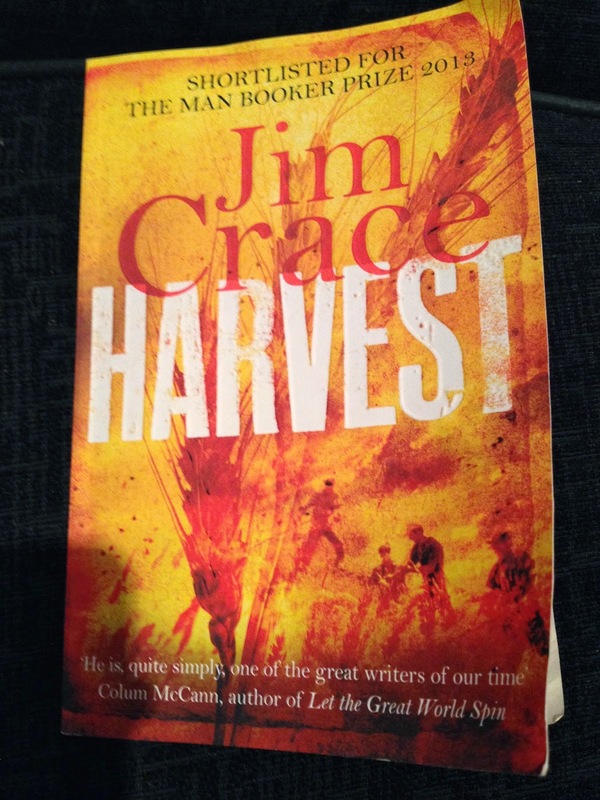 So when I was kindly asked by Mumsnet to read and review Harvest written by Jim Grace, I was quick to accept the offer. As late Summer steals in and the final pearls of barley are gleaned, a village comes under threat. A trio of outsiders - two mean and a dangerously magnetic woman - arrives on the woodland borders triggering a series of events that will see Walter Thirsk's village unmade in just seven days : the harvest blackened by smoke and fear, cruel punishment meted out to the innocent, and allegations of witchcraft. It took me 3 days to read this book. I can normally read books within a day or two but I felt like I needed to take my time with this, really take in what was being said. I would describe the writing as almost poetic, it flows beautifully. The landscape, the people, everything is described in perfect detail, I was able to picture the scenery with ease in my mind. The story is told by Walter Thirsk. He is someone that was bought into the village, married in, not born in but his wife Cecily unfortunately passed away. I got the feeling throughout the book that Walter never belonged, he felt out of place and the other villagers treated him the exact way that he felt. I wouldn't say that I pitied him but I definitely felt sadness for him. There are a series of events that occur throughout the book over the course of seven days, each one seemed to pave the way for the next occurence to happen. Villagers are held captive, buildings burnt, punishments dealt but there is no moment that really stood out against the rest, they all seemed to work together as such. I was left wondering when I reached the end, what if certain events hadn't occurred, would things still have ended the same? Although I really liked how it seemed to come full circle both starting and ending with a fire. I don't want to spoil what actually happens but I will say that I don't think it will be what you suspect. Although not a book that I would generally go for, I was pleasantly surprised. Jim Crace has a way of writing that leaves you mesmerised, it really draws you in, simple, yet powerful. I can see why it was shortlisted for the Man Booker Prize last year. I recommend you all go out and read this book.